Lynn Johnston is a giver. For more than 30 years, she has given us laughter with For Better or For Worse, her eminently relatable comic strip about family life. Today, the 65-year-old provides artistic and financial support to a range of causes for people and pets. It’s fitting that this generous soul lives in a close-knit northern community where big-heartedness is a way of life. Mike Holmes at Royal LePage North Bay Real Estate Services Brokerage was born and raised in North Bay. He has sold real estate in the area for an impressive 36 years. “Zoomers are very active. In North Bay, you can get out for a quick ski, and there’s a big walking path right through the city. You have half a dozen golf courses here – all close by. Our city’s been working hard on economic development. North Bay Regional Health Centre (newly opened in 2011) provides acute care and mental health services and is a teaching centre for local colleges and universities. 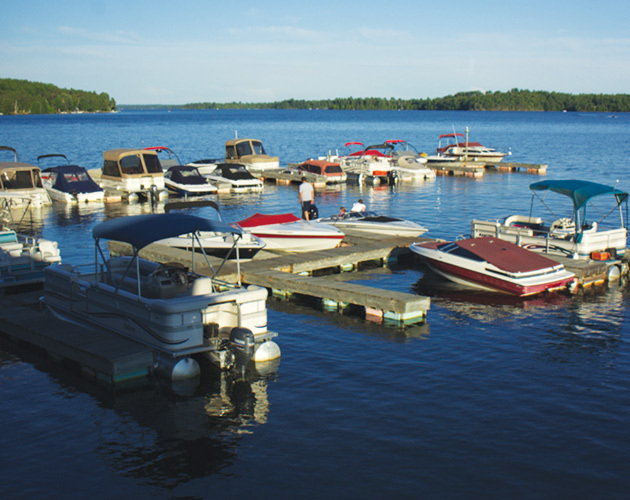 North Bay is nestled between two lakes, so recreation revolves around water: kayaking, water skiing, ice fishing, boat cruises. The Laurentian Ski Hill is in the city centre. Stable employers include the new hospital, Nipissing University and the mining industry.